Citric acid is a weak organic acid having the chemical formula C6H8O7. Citric acid is found naturally in citrus fruits. In biochemistry, citric acid acts as an intermediate in the citric acid cycle. Every year, more than a million citric acids are manufactured world over. Citric acid is widely used as a flavouring, as an acidifier and chelating agent. The most common uses of citric acid are as a preservative and flavouring agent in food and beverages such as soft drinks. Citric acid is used as an emulsifying agent in ice-creams. Citric acid is considered as an excellent chelating agent. Limescale is removed from boilers and evaporators with the help of citric acid. Citric acid is used for softening water, which makes it useful in laundry detergents and soaps. It can also be used in shampoo for washing colouring and wax from the hair. It is used widely as an acidulent in gels, creams and liquids of all kinds. In combination with sodium citrate, acetic acid is used to prevent kidney stones. Taking excess of citric acetate in combination with sodium citrate may lead to kidney failure. Taking citric acid with empty stomach may lead to stomach or intestinal side-effects. It may also lead to muscle twisting or cramps. It can also cause weight gain, swelling, fast heart rate, slow or rapid breathing, etc. 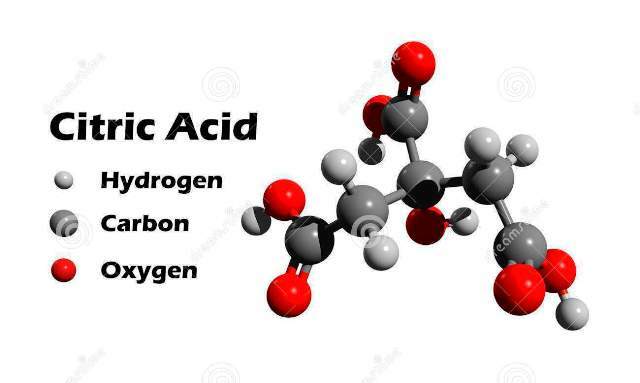 What is the function of Hydrochloric Acid (HCl) in the stomach?